(*) indicates those classes that satisfy our adoption requirements such as No Place Like Home, Did You Know, Things I Wish I'd Known, A Parrot's Point of View, or The Contented Companion. These are comprehensive care seminars, one of which is recommended for all adopters. Dr. Octavio Romo from SEAVS. What does "hormonal" mean? 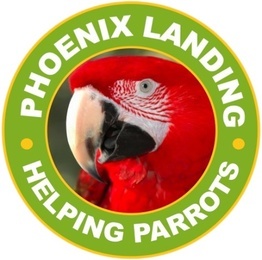 14th Annual Luau, Meet Adoptable Parrots! ​Dr. Greg Costanzo, “What is wrong with my bird?​"
** Why Does My Bird Do That? Let's Talk Behavior!